It’s true. I didn’t want to but I had to. I even questioned how much I had to buy. But I knew I needed to follow his orders to get out of the hellish world I’d found myself in. Feeling myself again, I enjoyed my visit on Koh Lipe (pron: Leep-eh). If Koh Phi Phi was nicknamed Cat Island, this one is surely called Dog Island. The friendly canine packs run the beach and suntan outside of the 7/11. And why shouldn’t they? This is very chill island. The island is small enough to walk around – or so I’m told. The water is crystal clear. There’s one major walking street up the middle of the island. More bars, restaurants and tattoo parlours than one island needs. Coffee, pancake and shake huts are abundant. I really enjoy my caffeinated mornings and cold lemon shakes in the afternoon. Beware of the Thai octogenarian at her food stand yelling, "Yoo hoo! Yoo hoo! Pancake? Pancake? You hoo!" If you don't want a pancake, she'll assume you must not have heard her calls and simply get louder. Finding a place to sit and relax out of earshot of Madam Yoo Hoo, as she's known here, is quite a challenge. 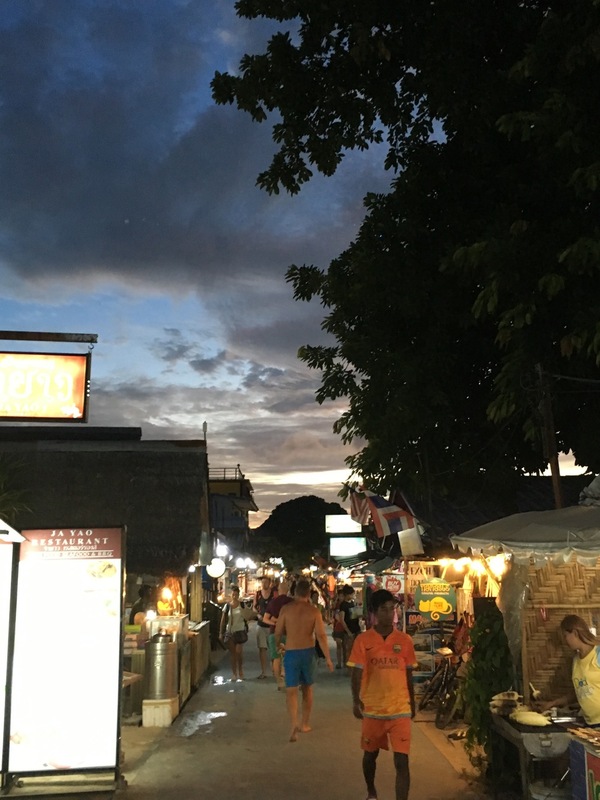 Ko Lipe has quite an expat community. Two Spaniards have imported their family recipes and are now serving up delicious tapas. I also discovered a place run by Americans serving amazing potato salad. While eating lunch there yesterday, I overheard the two owners talking about how they wanted to go on vacation from Koh Lipe. I almost choked on my food. I asked them why they needed to take a vacation from paradise. They laughed and said, “Wait until you’ve been here 7 years!” For a brief moment, I imagined what it would be like to set up shop on Ko Lipe, indefinitely. As quickly as the thought crossed my mind, it left. Don’t get me wrong – it's beautiful. But it's not for me. This island is far off the beaten path and much too far from my home. Every few hours a boatload of excited tourists arrive and another one full of tired tourists departs. Just as it should be. 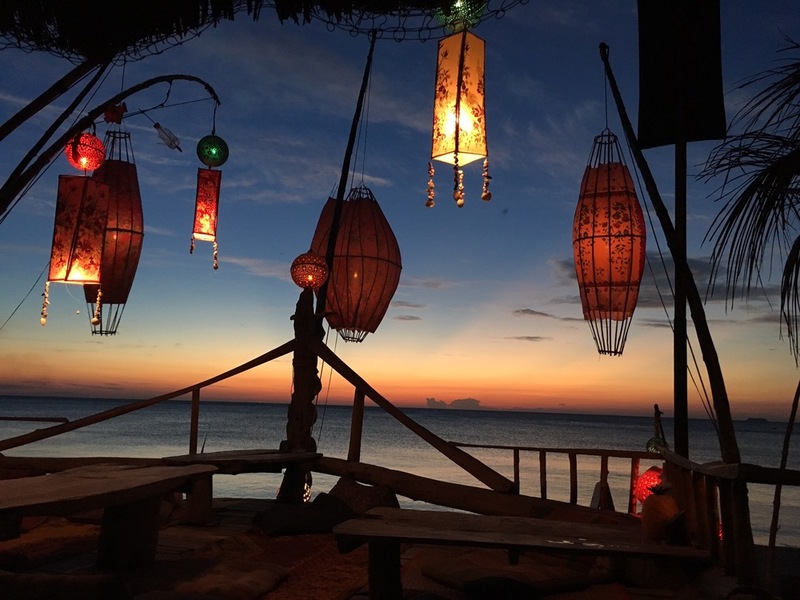 After all, it was a six hour journey to get here from Ko Lanta. Normally, it's only three hours but it was really windy day. Between getting water in the face and fearing for my laptop's life, I met a girl from Vancouver and her Australian husband who were on vacation with their 2 year old son, Brij. At one point on the journey we all put on our lifejackets fearing that the boat was going to flip. Needless to say, we were very happy when our feet finally hit the beach. Ko Lanta was beautiful as well. I'm not doing it justice with the content of this post but I was so sick during my stay there that I really don't have a lot to report. 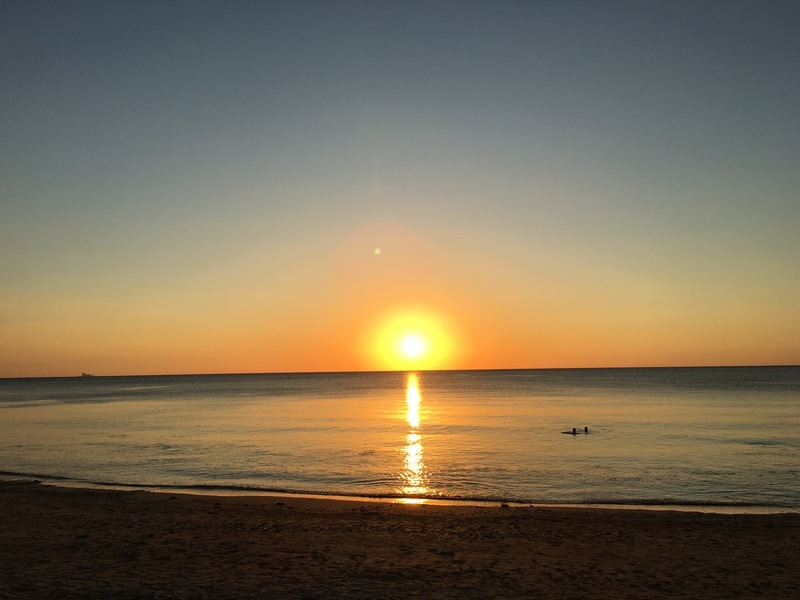 I stayed close to my beach-side bungalow and did some research for school. 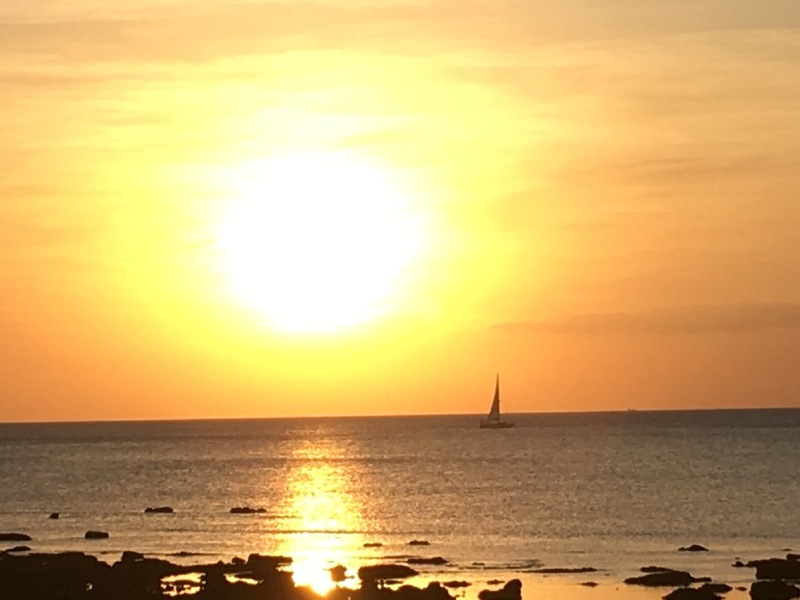 The highlight of my visit to Ko Lanta was definitely the sunsets. They are amazing. The sun literally falls right into the sea. Here's one of the videos that I captured. The island remains relatively underdeveloped but still had everything I needed - such as Kleenex. One day I rented a bicycle and went to one of the most beautiful beaches I’ve seen so far – Long Beach. The water was crystal clear and the sand was powder soft. I stayed as long as the heat would allow. 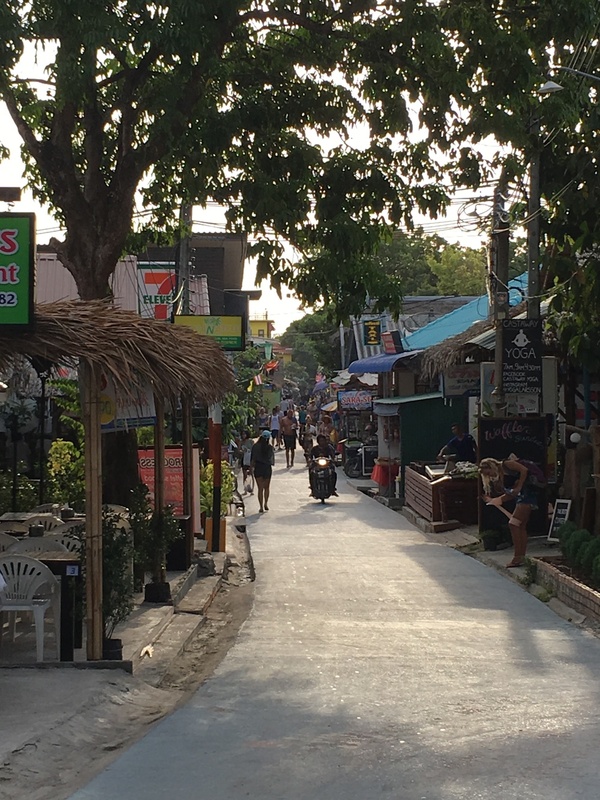 Before leaving for Ko Lipe, I had a tuk tuk driver take me to Old Town – an old port. A century after being built on stilts, shops and restaurants have taken over the buildings which hang out over the sea. Following Ko Lanta and Ko Lipe, I apparently teleported back to the 1960's. I'm on Tonsai beach for my last night in Thailand. Tie-dyed shirts, gnarly dreads and pot is the name of the game here. A place you need to see - just once. The beach is only reachable from the water and the steep cliffs are well known to provide great vistas for the adventurous climber. Unfortunately, I won't be able to test my climbing skills. I depart tomorrow and will meet my parents en route to Cambodia. Next stop: Angkor Wat.